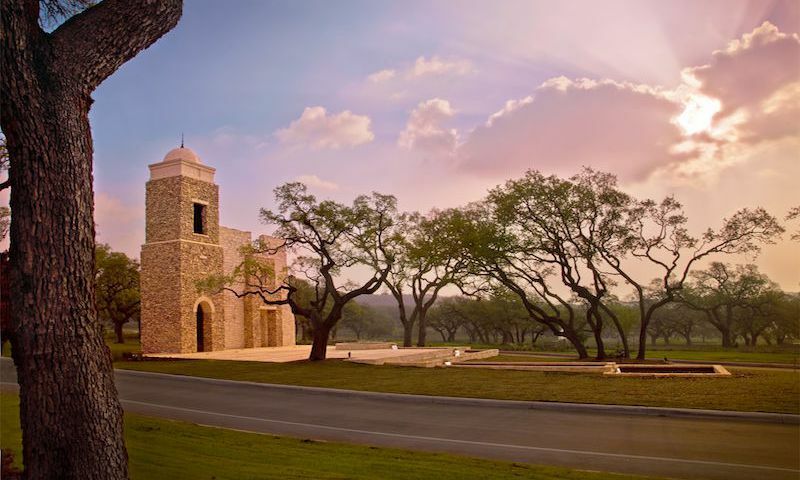 The Village of Encinal at Esperanza is a low-maintenance community located in Boerne, Texas. The community features single-family homes in a picturesque setting. Part of the master-planned Esperanza community, residents will be able to enjoy an expansive clubhouse with a lazy river and outdoor event space. Located just north of San Antonio, homeowners get the best of suburban and urban living. The Village of Encinal at Esperanza shares amenities with the master Esperanza community. These amenities will include The Club at Esperanza, which features a fitness center, multi-purpose room, and meeting rooms. Outdoors, residents will be able to cool off at a resort-style pool and zero-entry pool with surrounding patios. Also outdoors is a lazy river, great lawn, miles of walking trails, and several parks. Construction on The Village of Encinal at Esperanza began in 2017. Upon completion, the community will have 25 homes. These single-family homes come in five different models. These models range in size from 1,937 to 2,368 square feet of living space. They include three bedrooms, two-and-a-half bathrooms, and two-car garages. These homes include features like open plan, gourmet kitchens, first-floor master suites, walk-in showers, elegant wood-flooring, and extended back patios. Residents of The Village of Encinal at Esperanza will be able to join in on themany social groups, clubs, and events held throughout the master community. Homeowners can also swim and take advantage of the variety of outdoor spaces. The homeowners’ association fee will cover front and back lawn maintenance, allowing residents more free time and a more relaxing lifestyle. Residents at The Village of Encinal at Esperanza will have easy access to a variety of amenities in downtown Boerne. There, residents can shop for groceries at Walmart and Riverside Supermarket. Nearby restaurants include Whataburger, Chili’s, Smokey Mo’s BBQ, and many independent restaurants. While the necessities can be found in Boerne, more niche shopping can be done on the northern edge of San Antonio. This includes a Target, Bass Pro Shop, and Brookstone among many other stores just 20 minutes from the community. Golfers will love being able to choose between several nearby courses, including The Clubs of Cordillera Ranch, Fair Oaks Ranch, Tapatio Springs Hill Country Resort, and Dominion Country Club. St. Luke’s Baptist Hospital and Methodist Boerne Emergency Center provide medical servies for the area. The community is located just minutes from Interstate 10. From there, downtown San Antonio is just 30 miles away. San Antonio offers a wide variety of shopping, restaurants, and entertainment. In San Antonio, residents can stroll down the River Walk, visit the Alamo, or spend a day at the San Antonio Zoo. Homeowners looking for a trip further away will have easy access to the San Antonio International Airport. All this makes The Village of Encinal at Esperanza an ideal low-maintenance community for homebuyers in Boerne, TX. All amenities are shared with residents of the Esperanza master community. The Club at Esperanza - Coming Soon! There are plenty of activities available in The Village of Encinal at Esperanza. Here is a sample of some of the clubs, activities and classes offered here. These single-family homes come in five different models. These models range in size from 1,937 to 2,368 square feet of living space. They include three bedrooms, two-and-a-half bathrooms, and two-car garages. These homes include features like open plan, gourmet kitchens, first-floor master suites, walk-in showers, elegant wood-flooring, and extended back patios. 55places.com is not affiliated with the developer(s) or homeowners association of The Village of Encinal at Esperanza. The information you submit is distributed to a 55places.com Partner Agent, who is a licensed real estate agent. The information regarding The Village of Encinal at Esperanza has not been verified or approved by the developer or homeowners association. Please verify all information prior to purchasing. 55places.com is not responsible for any errors regarding the information displayed on this website.